Summer: These are developed to perform in warmer weather. They are formulated to work best in weather over 70 degrees Fahrenheit. Winter: Tires formulated for winter are specially created for weather below 70 degrees and in most cases, significantly cooler. All Weather: All weather tires are designed for optimum performance in the mid-range of temperatures and good performance when the ambient temperature is hotter or colder than 70 degrees. They are not designed to handle extreme conditions, such as when the ambient temperature is below freezing or there is snow or freezing rain. You will also need to consider the type of driving you will do mostly. Touring: If you only will use your vehicle around town or on the highway and comfort is a goal, touring tires are your best bet. They will give you a smooth and quiet ride. High Performance: These types of tires are best for use at higher speeds and in wet weather. Their grip is more reliable and they are formulated for high-speed cornering. SUV: Tires made for SUV’s are made for moderate off-road travel, but do not sacrifice performance for comfort. They are ideal for SUV’s and light trucks. This is a debatable question that often is foremost on the minds of BMW owners who are getting new tires and deciding whether to get the BMW tire and wheel warranty. The answer is the same as any type of insurance policy. You are not buying insurance for when things are normal, but when things go awry. Flood insurance, for instance, is worthless if there is no flood, but invaluable the moment there is. The same principle applies to tire warranties. So the choice is yours. If you are certain you will never use a BMW tire and wheel protection warranty, why bother? If, however, you are like the other 99.9% of us, how can you be sure you will not need it? 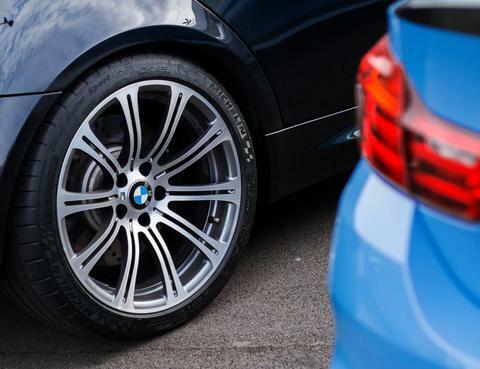 If you do have a tire issue, for whatever reason, will the BMW tire and wheel protection policy help or hinder your situation? Contact the team at Wheel and Tire Care to learn more!